Time to sell your home in the Fruit & Nut District? Read about today's home buyer. The Fruit & Nut District is within walking distance to the Fairhope Municipal Pier and a marina, making it an ideal spot for water-lovers who may have a boat they want to dock in the area. A number of restaurants and shops are also within walking distance of the Fruit & Nut District. Families with children in the Fruit & Nut District have the opportunity to send their children to some of the best schools in Alabama, as this area in Baldwin County has an amazing school system. If you need further info, have questions or would like to schedule a viewing for any of the homes for sale in the Fruit & Nut District or any other properties in the area, please email info@condoinvestment.com or call (251) Area-Pro (251-273-2776) for immediate assistance. 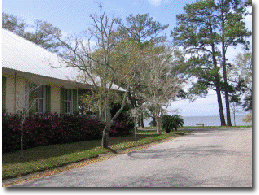 Fairhope's Fruit & Nut district is approximately 45-50 minutes from the Gulf Coast beaches. Best known for the powder-white sands and crystal clear water, Gulf Shores and Orange Beach provide plenty of exciting attractions for visitors. Entertainment venues like The Wharf and Gulf Shores Hangout offer lively atmospheres every day whether it's watching a band perform on stage, window shopping, or enjoying a nice dinner out with family or a significant other. We have seen an increase in new real estate developments and pre-construction condos in the Gulf Coast area. Condoinvestment.com provides comprehensive information for condos in Gulf Shores, Orange Beach, and along the beaches of Northwest Florida. Use our Orange Beach condos for sale page to learn more about current listings and research recently sold condos which display actual sold prices and closed dates. We have gathered helpful information for investment-minded buyers such as revenue info for all condos and easy to use search filters to find a specific property. Users can view aerial perspectives of condominiums and homes along the Gulf Coast by visiting the aerial imagery section of our site.